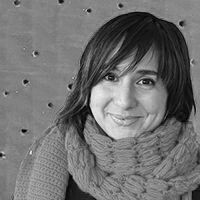 Anna Llenas is a graduate in Advertising and Public Relations from the Universitat Autònoma de Barcelona and a graduate in Graphic Design from the Escuela Llotja. She also has training in Analytical Psychology and a post-graduate degree in Art-Therapy. She spent her early career as a designer and art director at the agencies Bassat Ogilvy & Mather and Publicis Casadevall & Pedreño but one day she decided to leave the world of advertising to set out on her own, more personal and artistic path. Since then, she has designed original products, written and illustrated books and given courses in creativity and emotions.